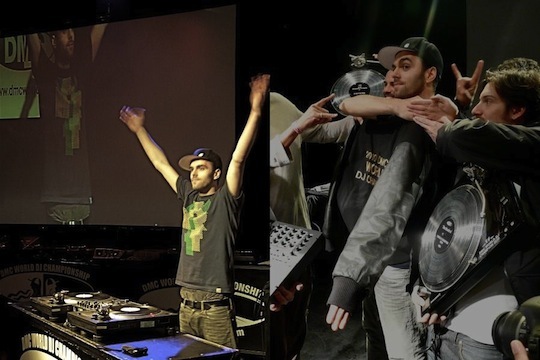 The world’s most talented battle DJ’s competed against each other this past Sunday and Monday in the DMC World DJ Championships. Congratulations to DJ’s LigOne, Switch, and Kireek for the winning the World DJ Finals, Battle for World Supremacy, and World Team Battle, respectively. will someone please school me on the difference between the World DJ Finals & Battle for World Supremacy categories? *World DJ Finals – One showcase type set per DJ. *World Supremacy – Head-to-head, multi-round battle. I think it’s also an homage to, or picks up where, the classic New Music Seminar battles left of. I gotta find out now who Battlestar is. Congrats to DJ Etronik for making the top 5!! !